Masamune Shirow’s Ghost in the Shell Manga was published in 1989 and has had a lot of anime renditions in recent times. 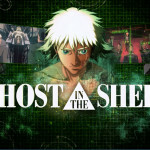 Ghost in the Shell: Arise in the latest incarnation, which is a prequel of sorts – set in 2027, one year after the end of the fourth non-nuclear war. 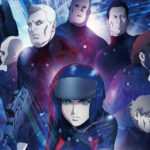 It’s centred around a young Major Motoko Kusanagi in her first involvement with Section 9 and shows a journey of how she discovers her perfect defence team to combat cyber-terrorism and warfare. This first episode of Arise is called Ghost Pain. The first arc sets the scene with Major’s Superior Lt. Col. Mamuro’s murder. Public Security Section 9 – led by Daisuke Aramaki is investigating Unit 501’s leader for corruption. 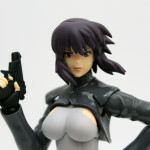 This causes issues for Motoko, as due to this investigation – all unit funding is frozen (This pays for her cyborg body, which was built by the Japanese military and can be taken away if regular payments aren’t made). She then decides to join forces with Aramaki to gain her freedom back and gain clarity to why her Superior was murdered. During her investigations she starts to feel that her memories have been tampered with and starts to get suspicious of members from her old unit 501. 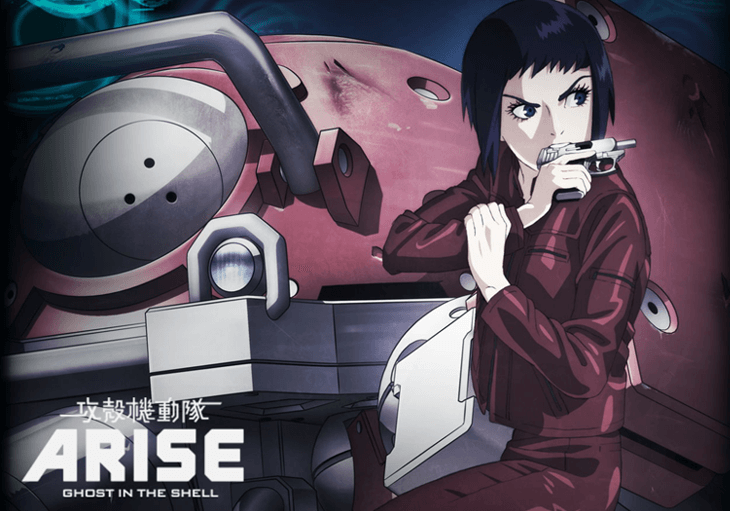 Throughout this ride Motoko teams up for the first time with familiar characters like Logicoma, Batou, Togusa and Paz in an action packed epic to set things straight. The second episode of Arise is called Ghost Whispers. This episode picks up the pace a bit and is more action packed. 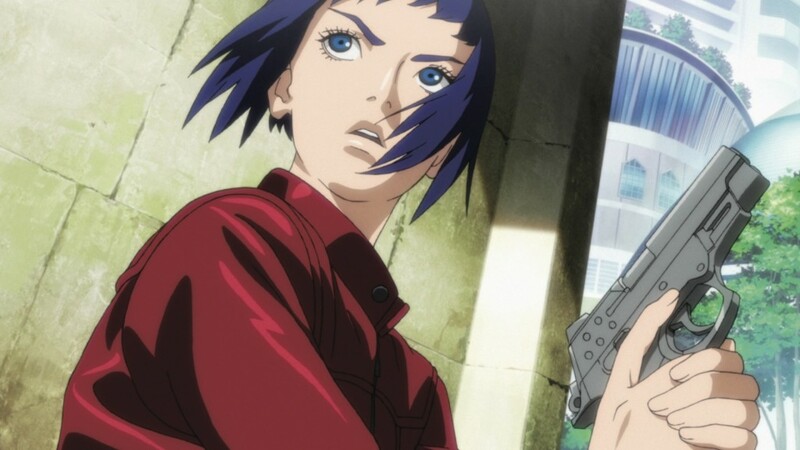 Motoko is now free from 501 and under Aramaki’s supervision and wants to form her own team. The episodes start off with Kazuya Soga and his military unit being held captive at trial for crimes they didn’t commit. Kuzuya Soga then hijacks all of the transportation networks in the city to gain revenge for an operation he was involved in that went wrong and gain Government secrets. 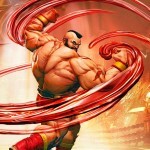 The Major then rounds up a team of suitable skilled members to track down the perpetrators through some epic actions scenes. It’s been a long time for me since I watched any form of Ghost in the shell – so this was a breath of fresh air to get back into some cyber punk material. Ghost Pain was very much setting the scene and dragged its feet a bit, but Ghost Whispers really picked up the pace and action and you started to see the series take form. 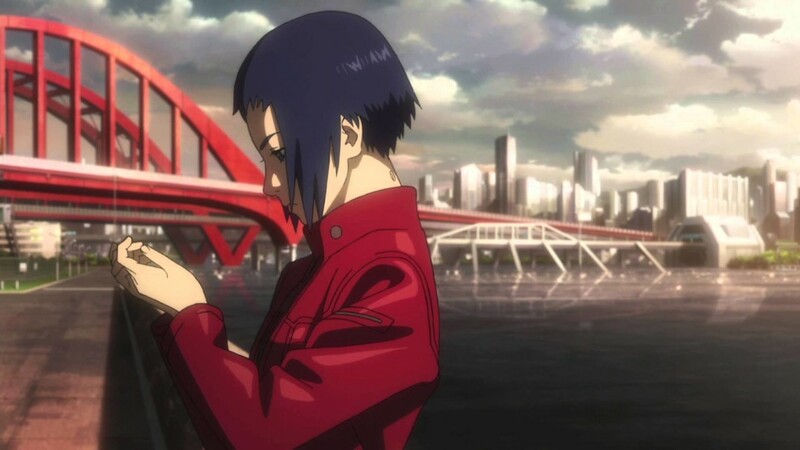 If your expecting something on close tails to the original Ghost in the Shell this very much has a different feel and I felt like it didn’t have the same soul as the originals. The Animation Production was top notch and the CGI throughout worked really well, especially in the graphic actions scenes – Production I.G did a bang up job with this one. The series also had an awesome electro-pop soundtrack from Cornelius, which I felt was very fitting for the series. I wouldn’t recommend this to any newcomers of Ghost in the Shell franchise; see the originals first before delving in as it may wreck your mind trying to wrap your brain around the premise. But if you’re a long-term fan – check it out – it’s interesting to see an interpretation of how Motoko & crew first started out.